Our Lady of the Cape Catholic Primary School is a Catholic co-educational primary school with 340 students from Kindergarten to Year 6 that was established in 1996. The school now has full double stream facilities from Kindergarten to Year 4 and single stream for Years 5 and 6. Reading Support Programme MiniLit, MultiLit and MacqLit. A Music Specialist Programme (Recorder and ukelele). 1:1 Laptop programme for students in Year 4 to Year 6. Indonesian Language Studies, Pre-Primary to Year 6. JEMM: Junior Elementary Maths Masters. Since 2013 Our Lady of the Cape Primary School the students in Years 4, 5 & 6 have been using 1:1 iPads, and now Laptops, with a parent funded iPad Programme. The school also provides the student's access to classroom desktop computers, iPads and laptops across all year levels. 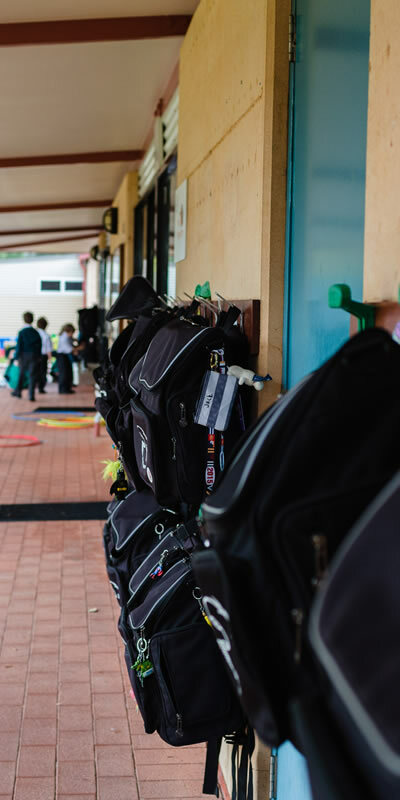 The establishment of our school was made possible through the financial support provided by St Joseph’s Parish, Busselton and the commitment of the Dunsborough Faith Community. The school is managed on a local level by the Our Lady of the Cape, Dunsborough, Catholic School Board.